A Kansas Special Election Could Signal 'Big League' Problems For GOP In Donald Trump Era The election is drawing national attention, including a last-minute ad from President Trump. A closer-than-expected result could be a warning sign for the GOP of a lack of enthusiasm in the Trump era. President Trump recorded a robo call for the Republican in a special election in Kansas, signaling potential trouble for the GOP. It's a race the party should have no trouble winning. 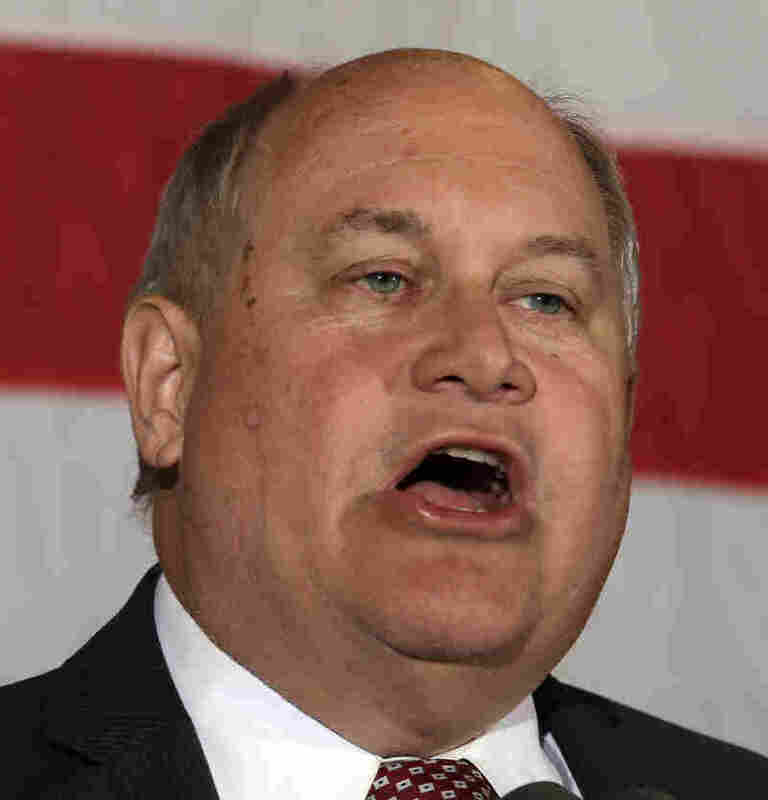 "On Tuesday, Republican Ron Estes needs your vote — and needs it badly," the president says in the recorded call intended to boost Estes in the race to replace Mike Pompeo, who is serving as Trump's CIA director. "Ron is a conservative leader who's going to work with me to make American great again. We're going to do things really great for our country. Our country needs help; Ron is going to be helping us — big league. But I need Republicans like Ron Estes to help me get the job done. This is an important election. There's really few very much more important. And I need your vote for Ron Estes on Tuesday." This is a heavily Republican district that includes Wichita. It's one that Trump won by 27 points in 2016. But in a low-turnout election, almost anything can happen. Republican Ron Estes is favored to replace Mike Pompeo, who is serving as Trump's CIA director. But Republicans are signaling a possibly closer-than-expected contest against Democrat James Thompson. "Our enemy right now is complacency," said Texas Sen. Ted Cruz, who was campaigning in the 4th congressional district with Estes on Monday, in an eleventh hour attempt to boost the Republican over Democrat James Thompson, a civil-rights attorney. This district has voted Democratic before. Pompeo was swept in with the Republican wave of 2010. Democratic enthusiasm, Republicans' lack of it and independents' dissatisfaction with incumbent GOP Gov. Sam Brownback are all making for what could be a closer-than-expected result. You never want to read too much into special elections, but this is Democrats' first chance since Trump was elected to take out their frustrations at the ballot box. They intend to make their voices — and wallets — heard. Given this district's ideological bent, the Republican is still favored. But a narrow result, especially one in single digits, could be a warning sign for the GOP ahead of a handful of upcoming special elections this year and next year's midterm elections. 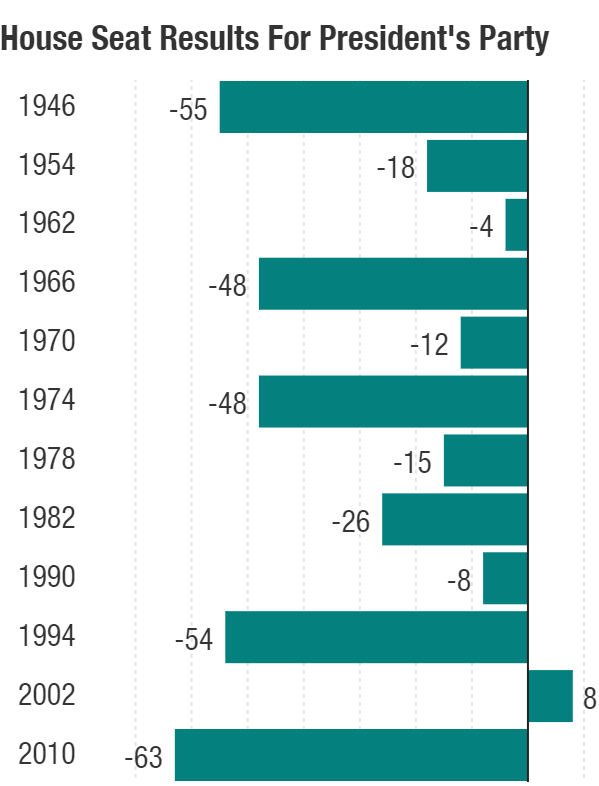 Since World War II, a president's party has lost an average of 29 seats in a president's first midterm. The only exception was George W. Bush, a year after Sept. 11. Democrats need to pick up a net of 24 seats to regain the majority in the House. That's a tough task, especially considering the way districts were drawn after the 2010 elections to favor Republicans. There are far fewer competitive or potentially competitive seats today than in years past. For Democrats to pull off the goal of taking back the House, they will have to win in unexpected places like Kansas and Georgia, where they have a chance next week. A week from Tuesday, in the less-Republican Atlanta suburbs, Democrats are taking aim at the seat formerly held by Health and Human Services Secretary Tom Price. 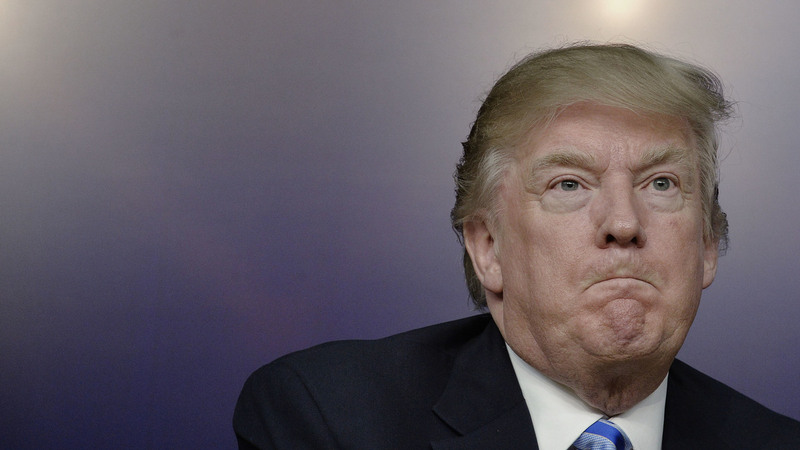 Trump underperformed there in 2016, winning it by just 1.5 percentage points. Price won it by 23 points, the exact margin Mitt Romney won it in 2012. It's a sign not just of suburban Republicans' reluctance to embrace Trump, but also potentially of the changing demographics in a booming part of the New South that is beginning to lean more Democratic. Democrats would relish the irony of winning a seat that was held by a staunch Obamacare opponent, especially after the GOP health care bill's failure. They have rallied behind Jon Ossoff, a 30-year-old former Capitol Hill staffer. Few gave him a chance when a vacancy opened up in Georgia's 6th congressional district, but sensing an opportunity, liberals embraced him with money — lots of it. 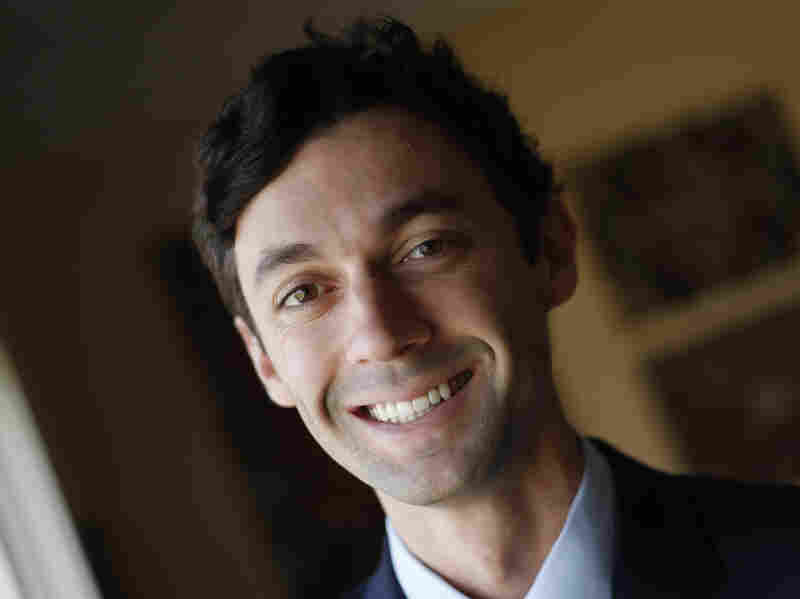 Democratic congressional candidate Jon Ossoff hopes to upset the field in a GOP-leaning district in the Atlanta suburbs. He has raised $8 million, far more than most congressional races. He has raked in an eye-popping $8.3 million in just the first quarter of 2017. As political handicapper Nathan Gonzales points out in his Inside Elections report, former Democratic Gov. Ted Strickland of Ohio raised just $10.7 million for the entire cycle in his failed Senate bid against Republican Rob Portman. It's reflective of a broader trend since Trump was elected. ActBlue, an online fundraising tool for Democratic and progressive groups, for example, brought in a record $111 million from more than 4 million contributors in just the first three months of 2017. For context, after Obama was re-elected in 2012, ActBlue handled just shy of $17 million from 467,000 donors. The group, founded in 2004, says it previously had taken eight years to get 4 million total donors. It was able to surpass that in just the first couple of months of the Trump presidency. "From the number of contributions we handled, to the sheer amount of money running through our servers, to the number of new donors who came into the fold in the last three months, the reaction to the Trump administration and the surge in action is unlike anything we've seen before," ActBlue's Chelsea McDonnell posted on its site. Ossoff has more money than he knows what to do with. He has 70 paid field staffers, triple the usual House campaign. A splintered Republican field has helped boost Ossoff, as the GOP is training its fire on itself. Outside groups have come in to help bring down Ossoff's numbers with negative advertising. The big concern for Republicans is that the Democrat gets above 50 percent April 18. If that happens, Ossoff wins outright. If he's held below 50 percent, there will be a runoff June 20. A one-on-one matchup with a Republican will be harder for Ossoff, especially with two more months of GOP ads targeting him. Far less time, attention and money have been paid to the Kansas race, but handicappers are taking notice. Gonzales moved the race from Solid Republican to Likely Republican. David Wasserman, who tracks House races for the Cook Political Report, moved it Monday from Likely Republican to Lean Republican.